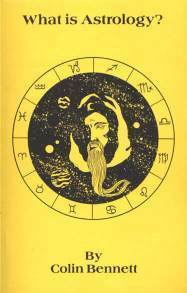 WHAT IS ASTROLOGY? by Colin Bennett. How an Astrologer Works, Sign Meanings, How Aspects Affect a Horoscope, Numerology as an Astrological Aid, Psychology In Relation to Astrology, Etc. 124 pgs. 5x8. Paperback. ISBN: 0-89540-113-4.